In Disney's riveting mystery adventure Tomorrowland, a jaded scientist and an optimistic teen embark on a danger-filled mission to unearth the secrets of an enigmatic place somewhere in time and space. We have your first look at the trailer and poster, shortly after they debuted at New York Comic Con. Bound by a shared destiny, former boy-genius Frank (George Clooney), jaded by disillusionment, and Casey (Britt Robertson), a bright, optimistic teen bursting with scientific curiosity, embark on a danger-filled mission to unearth the secrets of an enigmatic place somewhere in time and space known only as Tomorrowland. What they must do there changes the world-and them-forever. Featuring a screenplay by Lost writer and co-creator Damon Lindelof and Brad Bird, from a story by Damon Lindelof & Brad Bird & Jeff Jensen, "Tomorrowland" promises to take audiences on a thrill ride of nonstop adventures through new dimensions that have only been dreamed of. The film also stars Hugh Laurie as brilliant scientist David Nix, Raffey Cassidy, Tim McGraw, Judy Greer, Kathryn Hahn, Keegan Michael Key and Thomas Robinson. 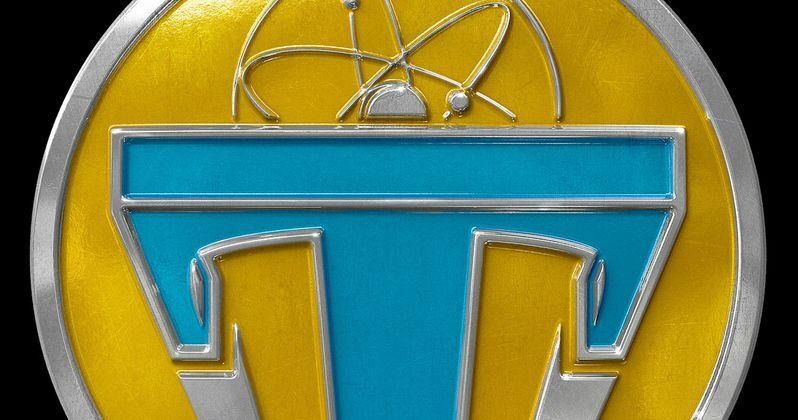 Check out the first footage in anticipation of Tomorrowland's debut in theaters on May 22, 2015.